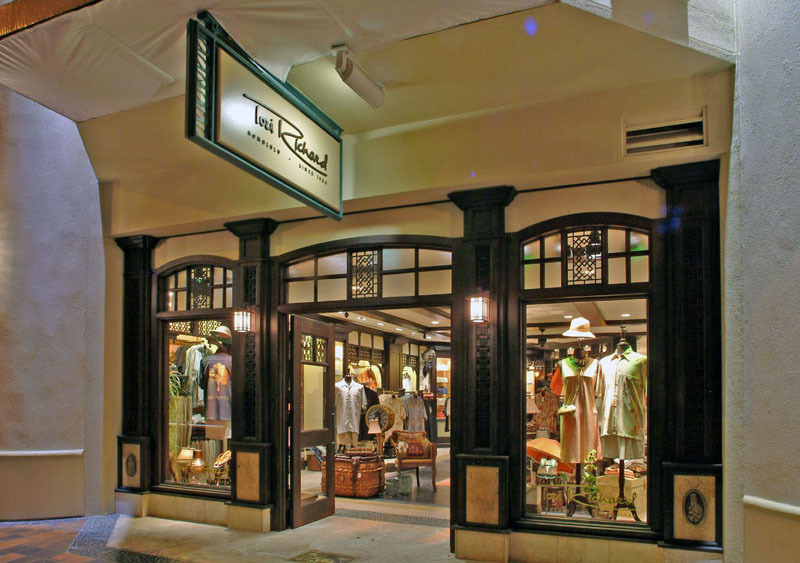 Design Partners was commissioned to design a high-end retail shop for this 50-year old quality garment manufacturer in Hawaii, the first dedicated shop in the company’s long history. Reflecting the Pan-Asian influences of the garments, the design includes aged limestone and antiqued oak paneled flooring, dark mahogany woods, chiseled coral block wall cladding and laser-cut hardwood grilles in traditional Chinese geometric patterns, creating a rich blend of color, texture and pattern. The result is an elegant shop with a modern yet aged feel, reminiscent of fine clothiers in Shanghai and Hong Kong during the time of British Colonial development.